Athletic Director Nick McPartland said it was a part of the Leadership Summit. “We are trying to incorporate more community service through our teams,” he said. McPartland added that it was the coaches who took the idea and made it happen. 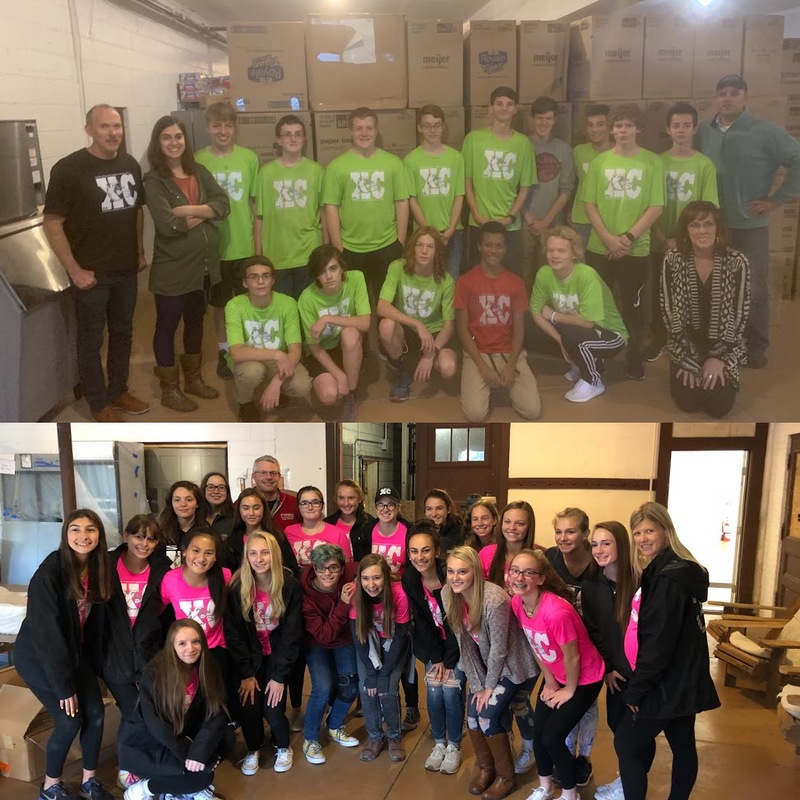 The girls were informed of what the program was doing and helped the group clear out a storage room for the busy winter assistance that The Open Door Mission will provide, Cooper said. “I thought it was a good experience for the team that wasn’t running or training,” Cooper said. We had roughly 35 athletes participate across 2 days. The boys XC team went one day and the girls another. They helped for 1-2 hours per session. Each group helped by moving donated items, stocking shelves and creating space for future renovations. One of our coaches works closely with the Open Door Mission and was able to spearhead the scheduling. We found it to be very enlightening for our students, as they gave great feedback and were very curious about homelessness that occurs in their hometown. The Open Door Mission is a Christian Rescue Mission founded on the belief that with proper resources hope can be restored and lives of impoverished men, women and children of Rochester, NY could be forever changed.